–Jonathan Franzen Hots Up the E-Book Debate: the Death of Civilization? Having been driven away from Kindle by the intrusive and annoying “popular highlights” feature, I have to agree. Yes, I know you can disable it, but the collective e-commentary on great works of literature feels like a violation. Hey, when I’m reading Anna Karenina, I want to sink into Tolstoy’s world, not be notified of that a committee of readers has highlighted a certain phrase. It’s not a work memo. In just a few sentences, he managed to indight e-books for the ultimate demise of the civilized world—quite the verbal sally from someone not known to mince words. Oprah-Book-Club-gate comes to mind. It’s the interaction with this ink and paper that makes my reading experience. I love the smell of books and the stiffness of the binding that softens as you read along. I like to ruffle the corners of the pages, and I get a real satisfaction as I turn them. I run my fingers across the dust jacket, daydreaming about the design and the writing within. Despite the warning, I often buy books just for their covers. But, no. I don’t think this makes me a more serious reader than those who are glued to their screens. Some of my bookwormiest friends are strictly e-readers. Kathleen, who runs our book club and goes through books like they are episodes of 24, was an early e-dopter. Even before Kindle, Nook, iPhone, or Google Books, Kathleen would surf arcane online collections of universities or libraries to download public-domain works. Sometimes she reads onscreen, and sometimes she prints out pages, but I think that digital ownership adds to her connection with the material. Lest anyone confuse speed with lack of seriousness, Kathleen does not read book candy (unlike me). She favors literary fiction: Ian McEwen, Philip Roth (one of her favorites), and most recently, Julian Barnes’s The Sense of an Ending, the Booker Prize winner. However someone ‘gets their read on’ works for me. It just saddens me (for them) when they don’t read at all. Still, Franzen’s provocative comments keep turning in my head: the sense of permanence and the dangers of impermanence. It’s not just e-books, but also smartphones, tablets, laptops, video games, picture-in-picture TV screens (one show isn’t enough?) and on-demand programming—a constant stream of instant gratification. Anticipation has been largely replaced by impatience. Is it any wonder that so many of us have ADD? Oops, guilty. I love my iPhone and my iPad. The first thing I did was launch the iBooks app with its fun “bookshelf” graphic. My first download: The Lyrical Ballads. It’s a digital reproduction of the original 1798 edition, just as it appeared to Wordsworth and Coleridge. Well, almost. I then downloaded the books of all three Brontës, and of course, all of Jane Austen. I just love having a library in my pocket wherever I go. Ultimately though, I find the e-read is not as rewarding as the printed page. We defenders of said page got an alarming jolt last May, when Amazon announced they were selling more e-books than bound copies. This week, we learned that Barnes & Noble is struggling to survive. Who would have thought we’d be rooting for Barnes & Noble? It does feel like the inexorable march towards an all-digital dystopia. Yes, I do despair over about the future of books and bookstores. It’s hard not to when you consider how quickly the music industry collapsed. Does anyone buy CD’s anymore? I fear that one day I will become the biblio version of a vinyl geek, scouring the back alleys of Berlin or Hay-on-Wye for shops that actually sell old-school, printed books. Perhaps Franzen is right. For me, a bookless world would be indeed a giant leap backwards for civilization, or perhaps, a sign of Apocalypse. NPR: No More E-Books vs Print Books Arguments, Ok? The Grinch this year is not out of a book, but selling them … along with toys, electronics, and dvds. The online megalith Amazon has hatched a scheme to pay customers to walk out of retail stores on Saturday Dec 10 without making a purchase. Amazon wants shoppers to scan the price of electronics, toys, or dvd’s with their Price Check app (thus sending them this data), and then walk out of the store to get a discount of up to $5 on that item online. It’s a pretty low blow—despicable—considering that retail stores are already suffering in this tough economy and that this is typically their make-or-break time of year. But now it’s not just bookstores or the Mom-and-Pops in Amazon’s sightlines. By specifically targeting toys, electronics, and dvds, Amazon is launching an attack on larger chains like Best Buy and Target. So this Saturday, Dec 1, please consider boycotting Amazon and make your purchases elsewhere. It’s not like Amazon needs this underhanded tactic. They continue to gain market share over brick-and-mortar stores—both Main Street shops and big-box chains. Amazon already has an edge over these businesses because they don’t have to collect sales tax. The company has lobbied aggressively and waged a fierce legal campaign to avoid sales taxes, using the spurious argument that they shouldn’t because they have no physical stores. This has proven a real problem for independent retailers, especially bookstores, who are also too small to compete with Amazon’s cut-rate pricing. Other online retailers like REI, LL Bean, Barnes & Noble, Target, and Best Buy all have to add sales tax onto online purchases transacted in states where they have stores. That’s right—these companies are effectively penalized for having retail presences that contribute jobs and money to local communities. If anything this situation should be reversed. Retailers should get tax incentives for operating stores which employ more people. Amazon is like a giant conveyor belt, so their work force does not really grow in pace with expanded business and profits. REI does more than half of their business online, but they just opened a store in my town. I’m so grateful they have arrived with added local jobs. Also, I just love wandering around outdoor gear stores (after bookstores, of course). If you think this doesn’t matter to you because you don’t care whether you are buying something from Amazon, or say Best Buy, then I have one word: Netflix. Remember back when Netflix had real competition from local rental shops and from Blockbuster? What happened when those businesses went under? Netflix doubled their prices. When the competition folds, do you really think that Amazon will be selling you that flat-screen TV for half-price or offering free shipping? One thing we have learned about a market economy is that competition is healthy and monopoly is not. Beyond being a holiday Grinch, Amazon is also somewhat of a Scrooge. Wal-Mart and Target rank consistently among Forbes’s list of most charitable corporations. Best Buy donates 1.5% of it’s pre-tax earnings. Barnes & Noble last year collected over 1 million books and 20,000 toys for donation. By contrast, and despite earning more than $34 billion in revenues last year, Amazon has become notorious for its lack of charitable giving. Even in their own hometown of Seattle, the company is conspicuously absent from the funding of local arts and community projects, even though other corporate giants like Starbucks, Boeing, and Microsoft give generously. Slate.com reported that there are lemonade stands which give more money to charity than the 34+ billion-in-revenues Amazon. In fairness, there are many good points to make about Amazon. They pioneered e-business at a time before anyone believed there could be viable online enterprise. They helped change our thinking about digital applications and information. They invented e-reader technology with the hugely popular Kindle. They developed a sophisticated online inventory management system that is utilized by many other companies. Still, what I’m arguing for is a fair playing field for retailer. It seems, from their slippery business strategies, that Amazon does not want any playing field at all. At the end of the day, I do understand if you are attached to your Kindle, and I too have enjoyed the allure and satisfaction of the one-click purchase. Though now I pretty much always go to my local bookstore or other brick-and-mortar retailer instead. But please seriously consider spreading some of your dollar to other stores. Most independent bookstores now also sell e-books via their websites. And please consider boycotting Amazon on Saturday, Dec 1, in protest of their predatory customer-walkout scheme. Amazon not only wants to own the competition. Amazon wants to own you … and everything that you want to own. The last of the Borders bookstores closed over the weekend, ending an era for booklovers. Rachel, of Booksellers Without Borders, offers a glimpse into her happy days working at Borders. Our final elegy to a retail icon whose warm, friendly stores made so many of us feel at home. I’ve been using that line for the past few months, ever since my home store, Borders #517 (Lincoln Village) on the north side of Chicago, closed last April. It feels even more appropriate now, after closing my second store last Friday: Borders 405, also in Chicago, on State Street downtown. Even after working that first brutal two-month liquidation, watching my beloved home store get torn to shreds, and finally losing my job—when I was asked to come back and do it all over again, I said yes. I couldn’t help myself. I went on another six-week Borders binge. My last. This time, for real. Being a bookseller gave me an appreciation not just for the content of books, but for their physical bodies. I like that they have heft, weight, and corners that can inflict real damage when they fall on your head. I can look at the space on a shelf, table, or display and tell you how many copies will fit there, in multiple configurations. Filling in the new mass-market table was my favorite Tuesday morning activity—a three-dimensional puzzle, a biblio Rubik’s cube—taking into account release date, quantity, color, and popularity. More than the books themselves, though, were the opportunities to find them good homes. I helped teachers plan their classroom libraries and students choose books for term papers. A 10-year-old boy asked me for reading recommendations—he had just finished Freakonomics, and wanted to know what other interesting non-fiction books we had. As a blizzard was rolling in, about to dump two feet of snow on us, a man walked into our store and simply said, “Tell me what to read for the next few days.” You can’t get that kind of interaction when you order books online. You just can’t. Once, I caught myself looking around for my boss after I realized I had been talking to a customer about trends in Young Adult fiction for about 15 minutes. Then I realized that showing her all my favorite YA titles was actually part of my job description, and I wasn’t going to get fired over it. I left work that day feeling very lucky. Borders was my home for five years, and Borders booksellers are my family. I am heartbroken to have lost the stores, the bookselling teams, and the customers as a part of my daily life. We were a ragtag bunch, heavy on the art and liberal-arts degrees, but light on pretentiousness. We shared our reading lives and our real lives indiscriminately. Most of us never planned to stay for very long, but found it hard to leave. I’m glad I saw it through to the end, but I hope never to be faced with such a depressing task as closing down a bookstore again. If you want to see what I mean, check out the photo essay, The Ghosts of Borders Past. Borders, we already miss you. –It’s IndieThursday: Let’s Buy Books! IndieThursdays Get Readers Buying and Tweeting Books! Booklovers are galvanizing for IndieThursdays! The idea is to buy a book at your local independent bookseller, and then on Thursday share the title and the name of the store in an tweet or via Facebook. The event was the brainchild of children’s author Ryan Jacobs, who wanted to inspire readers to shop locally. Why not create a twitter event, he thought. After all, one of the most enjoyable aspects of reading is sharing it with others. In stepped Jenn, the multi-tome juggling reader and reviewer of Jenn’s Bookshelves, who launched IndieThursday on July 28th. Each week, over 200 tweets (and growing!) post to the #indieThursday feed. You can also follow the acount @IndieThursday. If you aren’t on twitter, you can post to the Indie Thursday Facebook page. 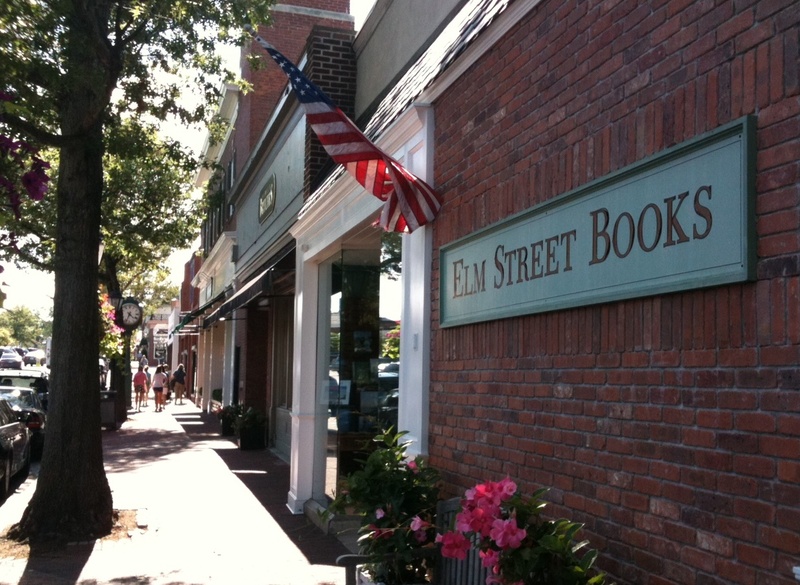 Click here to find a local independent bookstore in your area. E-readers can participate as well—as long as they purchased the download from an Indie. Here’s a list of independent bookstores that sell Google e-books. Now some of you might argue that the prices aren’t as low as the book chains. But did you know that shopping at a Mom-and-Pop benefits your whole town? If you spend $100 at a local store, $68 of that stays in your community contrasted with only $43 that remains when you purchase at a national chain. For today’s BBAW focus on readers, I’d like to shout out to Jenn’s Bookshelves for creating this fun online event. She has definitely influenced my reading, and shopping, habits for the better. So let’s go and get some books … and tweet it out to @IndieThursday #IndieThursday or share via IndieThursday on Facebook. and would like to frame a reply longer than 140 characters. An ominous tweet. At least it felt ominous to me because it came from one of the savvy bookish twitter handles: @BksellerExpats. I had blogged that booklovers should Skip the Borders Fire Sale. Luckily, brevity tends to make missives seem more dire, and Rachel, the aforementioned tweeter, sent a charming follow-up email offering to write a rebuttal. Thus, the first guest post on Word Hits happened less than a month into my blogging. Her piece, A Former Borders Employee Says Shop the Sales, is one of my favorites, as it is gives a window into the bookseller’s experience in these difficult times. I am still getting comments on it from people who are sorry to lose Borders. I wanted to share this as part of today’s BBAW focus on community, because what I took away from the experience is that I can learn from and build relationships with bloggers who give feedback—good or bad. While I’m on the topic of community, I also want to highlight the site that Rachel founded with some other former Borders employees, Booksellers Without Borders. “We are the remaindered” reads their tagline. It is a wonderful collection of reviews from people who know a great deal about and who absolutely love books. I find it inspiring that they are sustaining an online community together, even though they have lost a beloved work community. Because it’s a collaborative site, there is an impressive depth and range in the books they cover. Booksellers Without Borders feels like a virtual bookstore, with reviews arranged by categories just as they would be in on the shelves: Art/Photography, Children’s, Fiction/Literature, Graphic Novels, History/Politics, Humor, Horror, Memoir/Biography, Mystery/Thriller, Science/Technology, Science Fiction/Fantasy. With 15 nephews and nieces, I found it especially helpful that in addition to Children’s, they have separate categories for Intermediate Readers (8-12) and YA. In the last few weeks Booksellers Without Borders has not had as many posts because Rachel, the site’s administrator, was rehired by Borders to help with the liquidation of Store 405 on State St in Chicago. Her handle @BksellerExpats also fires fewer tweets. Rachel has posted a photo essay on this experience called, The Ghosts of Borders Past. Alas, this is now the final week for Borders 405. But Rachel has promised to guest post an elegy to Borders on Word Hits, hopefully next week … if she has caught her breath by then! Last Friday, Borders bookstores began a giant liquidation sale. Sounds tempting. But booklovers should skip this sale. First off, it’s not that good of a deal. Despite “going out of business” hype, Time Magazine reports that the “clearance” prices at Borders are not that different than those at other bookstores—some of Border’s prices have even gone up! More important, the lengthy liquidation of Borders inventory is forecast to hurt independent stores and other book chains. Even though the discounts aren’t that great, the hype could divert traffic and dollars from nearby bookstores. Imagine if even your newest inventory were being advertised across town at bargain prices. Oh, and you won’t be able to get your caffeine fix, as Seattle’s Best has closed all of its in-store cafes. Finally, the proceeds from this liquidation will not help out Borders employees. The money will instead go to the very investors and creditors who at the eleventh hour bet against Borders’s future. These creditors rejected an offer to sell Borders as an ongoing business to the owners of the Book-Of-The-Month-Club. Instead, they opted to sell for a higher price to a liquidation firm. That’s right, they decided Borders and its people were less valuable to them than the stripped assets. They say you vote with your dollar, and I don’t really want to give them one dime—even if that dime bought me a hardcover book, which it probably wouldn’t. So why not find a new bookstore to love? To find an independent bookstore near you—click here. If there’s no indie nearby, then try out another bookstore chain—at least you will be investing in your local reading community. If you are sad about losing Borders, the best thing you can do is walk into another bricks-and-mortar bookstore and buy a book. It’s great biblio grief therapy. we have that people are still thinking. Shocked! I guess I’m naïve, but I didn’t realize how bad things had gotten for Borders. I just assumed someone would come forward to buy or restructure the chain. After all, it was Borders (and Barnes & Noble) who served as the inspiration for the indomitable Fox Books in You’ve Got Mail. Thanks to that movie, most book buyers have long been aware of the difficult rivalry between the big-box chains and the smaller independent stores, many of whom Borders (and Barnes & Noble) have put out of business. To be fair, Borders was also known for going into struggling neighborhoods as a pioneer anchor store, particularly in Chicago. I do make an effort to shop at my local book store, since I’m lucky enough to have one. But when traveling, it seemed I came across Borders just about everywhere. I have logged a lot of happy hours—and bought a lot of books—in Borders. The staff were friendly, enthusiastic and … eager to talk books. Now all those people, some 19, 500 of them starting last February, have lost their jobs. These were booksellers and book lovers … my people. In addition to 200 bookstores since February, now all 399 Borders across the country will close at the same time?! It’s like when the Death Star hit Alderaan in Star Wars. I’m in disbelief, mournful, and bitterly sad. ‎From @Laurelwoodbooks #ThankUBorders for helping to make book-buying cool and reaching so many in far-flung communities all over. We love all of our fellow booksellers and are sad to see the end of an era.